We have a pair of beautiful and prestigious XJ Jaguars for your wedding day and they really do provide that sought-after touch of class. The Jaguars are very spacious and are also great for delivering the bridesmaid or groom party, either before collecting the bride or in addition to another bridal car. The bride's dress is an important consideration when choosing a car, and that's why our bridal car is factory-stretched to give extra legroom. The interior of this car is designed to the highest standards of both luxury and comfort. They are especially good for winter weddings with their climate control and heated leather seats. 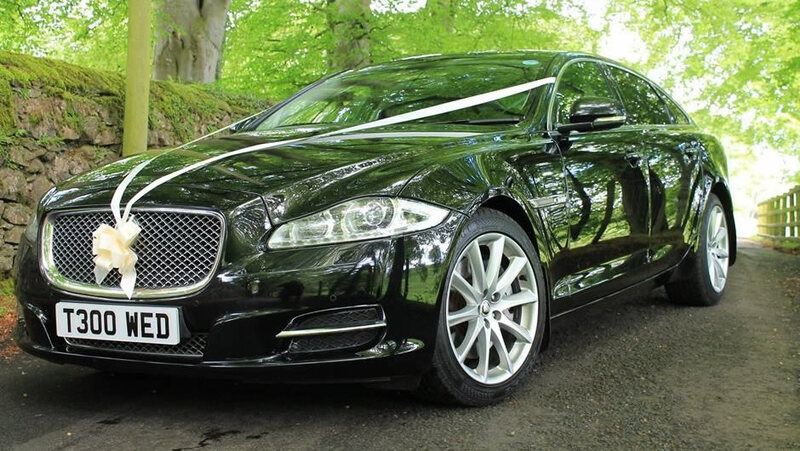 If it is a long journey to your ceremony or reception, then the XJ Jaguars are the cars for you. A car for family and guests — why not treat those closest to you to their own personal chauffeur for the day? Our Jaguars are a good opportunity to make your loved ones’ day extra memorable by ensuring they arrive in style. This means no driving and parking at the venues; your most valued guests will have the chance to sit back and be pampered while being driven to the ceremony and reception.